NEWTOWN -- Josephine "Joey" Gay taught her parents many lessons during her short and mischievous life. "When you gotta go, you gotta go," Michele Gay said, recalling the day her daughter pulled down her pants in the middle of a school hallway because she had to use the bathroom. "Everything's better with peanut butter," Bob Gay chimed in. Joey used to eat peanut butter by the spoonful, and she often left the dirty spoons scattered throughout their home -- everywhere from the backyard to the bathroom toilet. "Every cupcake needs a taste tester," he added. While nobody was watching, Joey once reached for a row of cupcakes as they were cooling on a counter and took a tiny nibble out of each one. 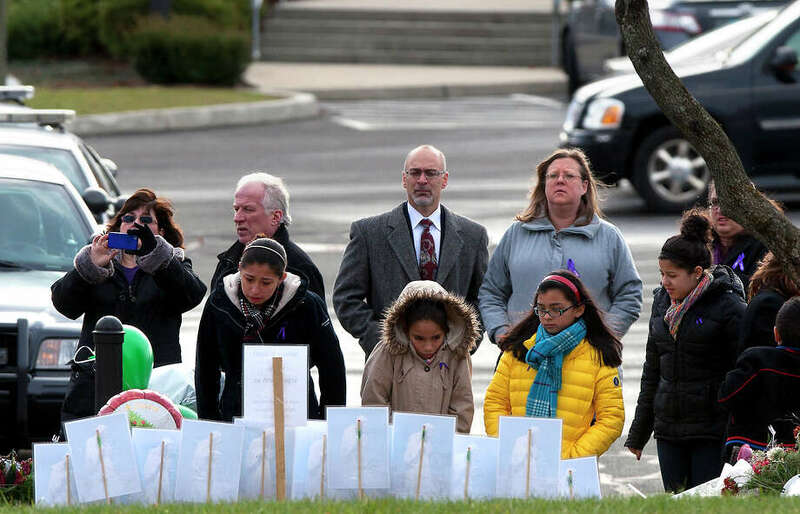 Friends wept and laughed while her parents shared stories about the little girl who turned 7 just three days before a massacre that killed her and 25 others at Sandy Hook Elementary School. At her funeral Mass, friends and family wore purple, Joey's favorite color. Even her tiny casket was painted purple and white. Joey suffered from apraxia, a neurological disorder that affects motor skills. She could not speak. Monsignor Robert Weiss joked at her funeral service that the young girl was an "undercover agent" and that she had been born unable to speak because she knew too many of God's secrets. "She faced many challenges in this life," Bob Gay said. "But she touched so many people."